Concept & Decor A big wallpaper of Amsterdam, but no aircon. Singapore is not Amsterdam leh, very hot. 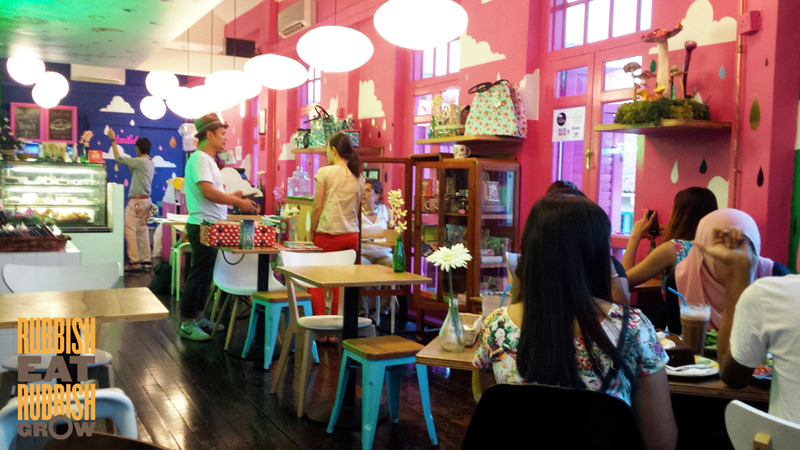 Very cute, very pink, with rainbows and umbrellas prints. 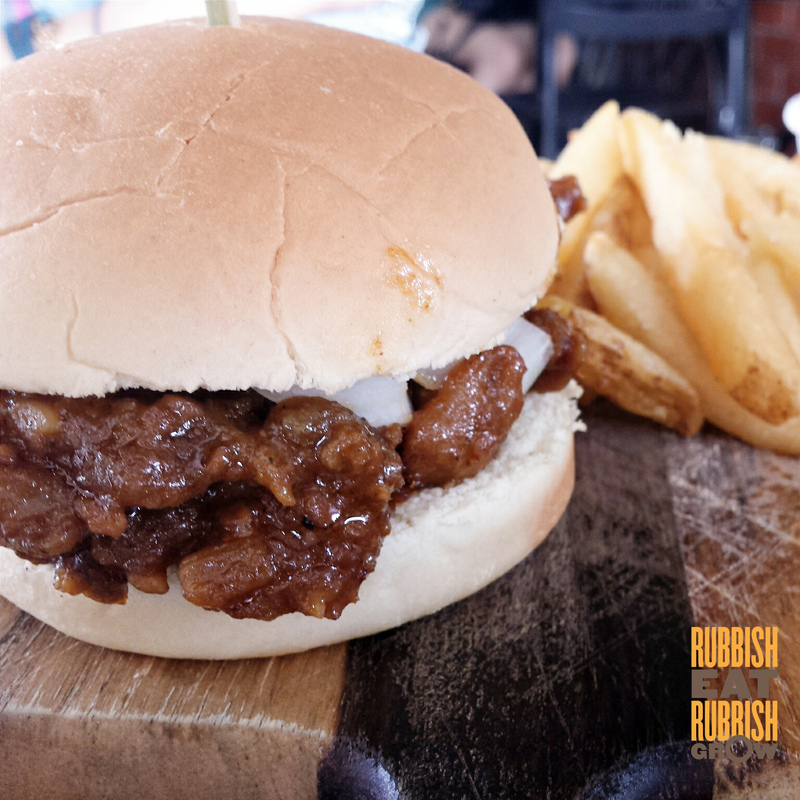 Satay burger ($12.90) was just satay in a bun. 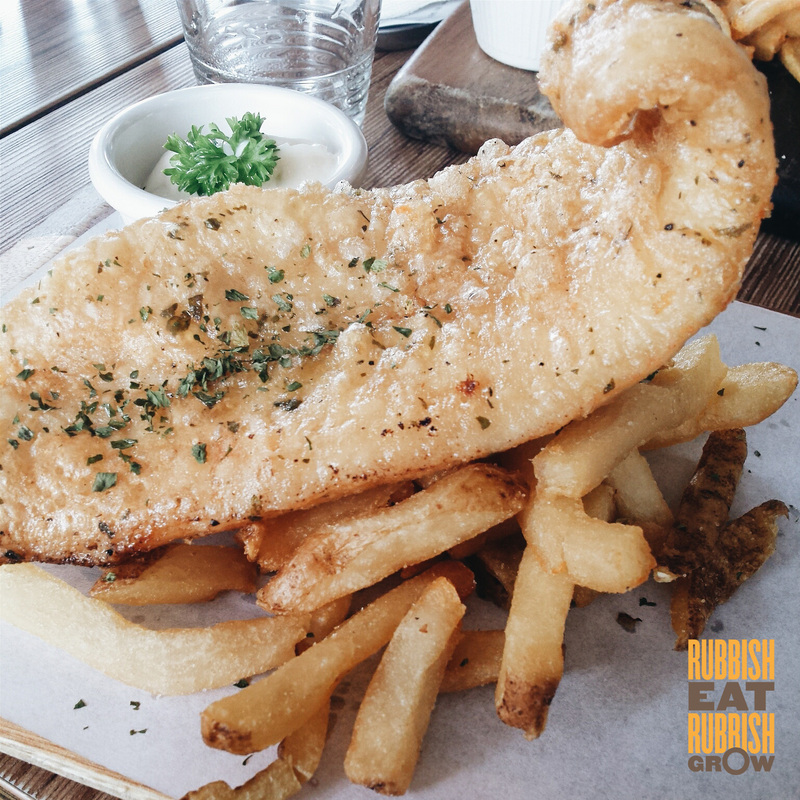 But the fish and chips ($15.90) has thick, succulent, fresh dory fish, quite delicious. 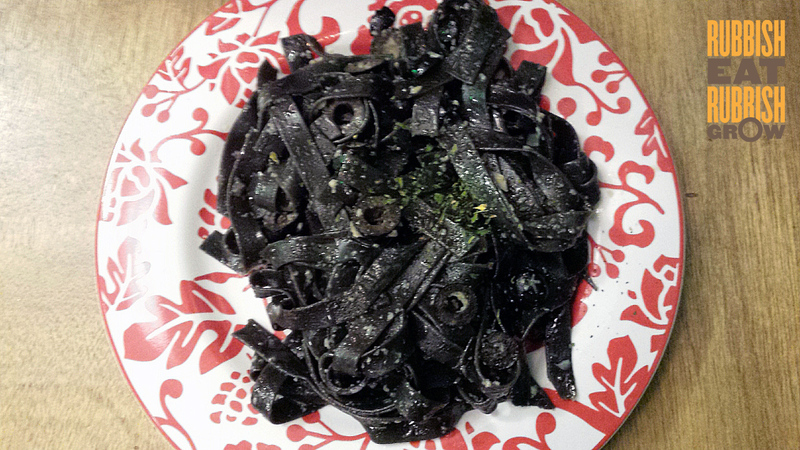 The squid ink fettuccine with escargot ($19.90) was flat and bland, the escargot rubbery. 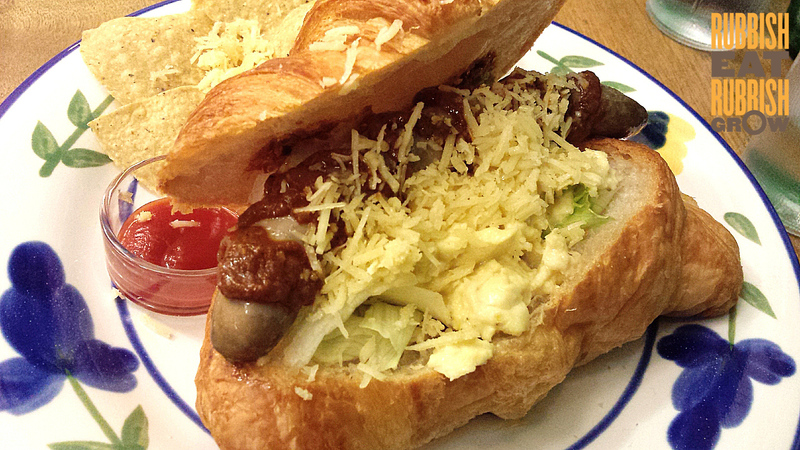 The German croissant ($12.90) was stodgy like it had been there for some time, and the hotdog pathetic. Iced Americano ($5.90) no complaints. 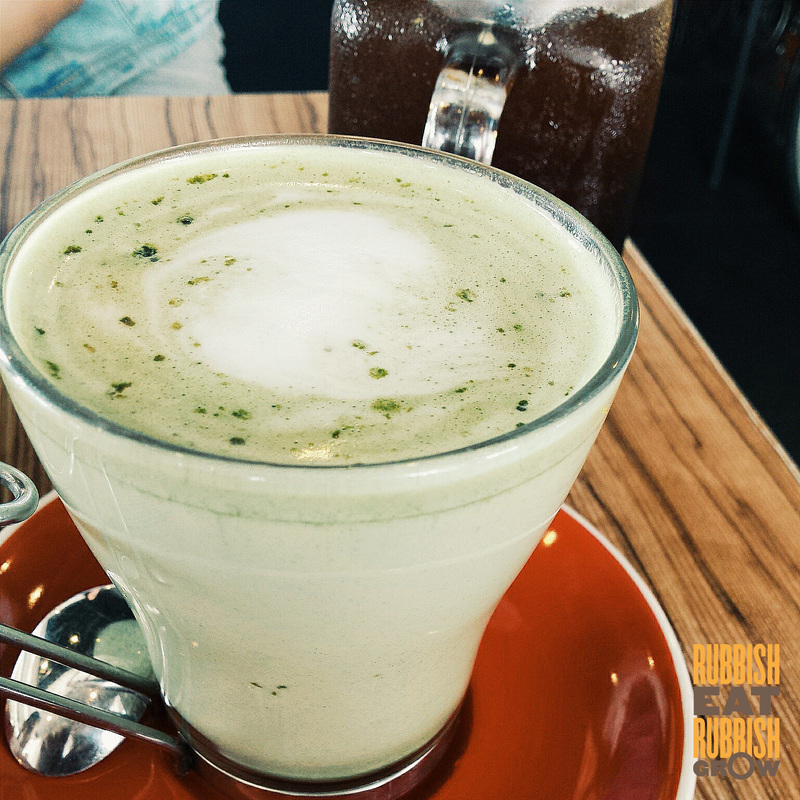 matcha latte ($5) was sweet, hence easy to drink. But not much of matcha. As it was night, and we are sensitive to caffeine, we didn’t order. 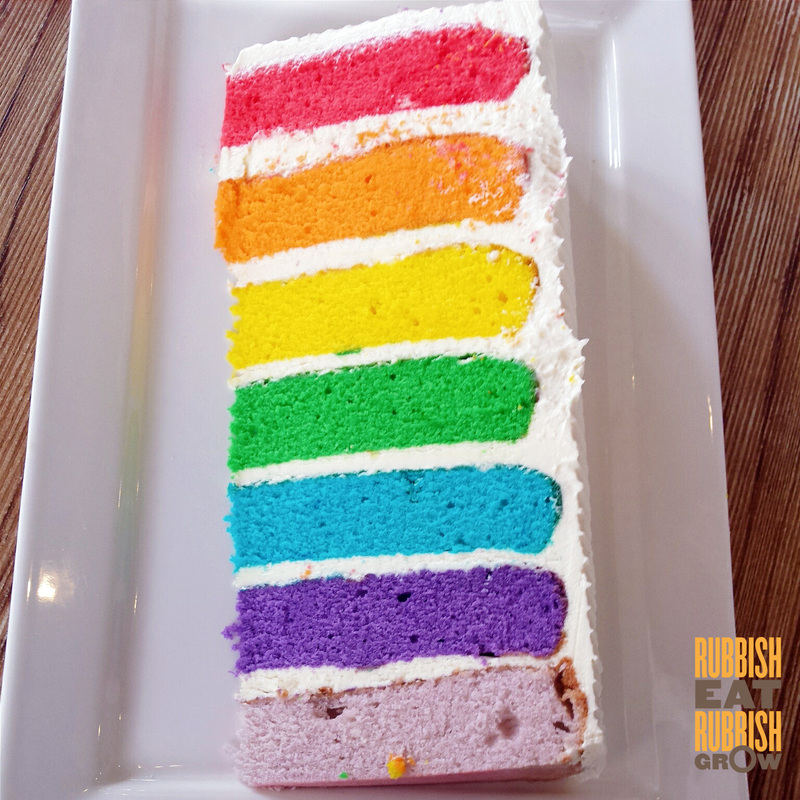 Rainbow cake ($8.90) – different taste each layer, but flavors were too light and overpowered by sweetness. 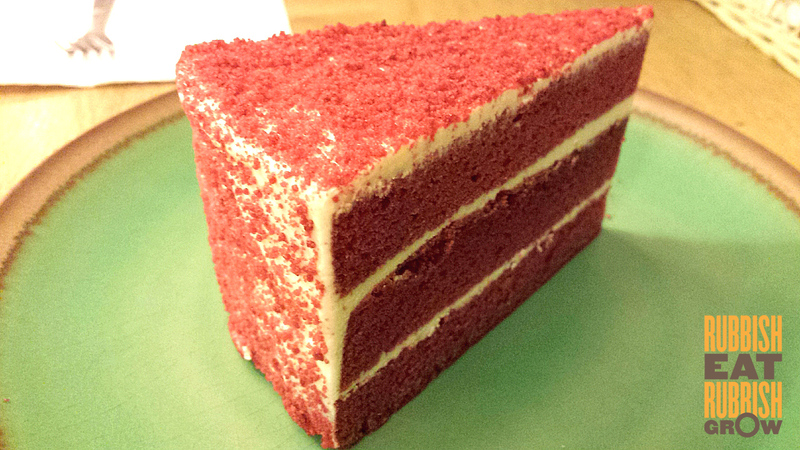 Red velvet cake ($7.50) was monotonously sweet and dense and stodgy. Service Hipster manager with handlebar moustache in a spiffy vest and tie. How did he stand the heat? OK service. Minimum contact with servers. You order at the counter and they deliver the food to your table. But we asked thrice for our cake before it came. 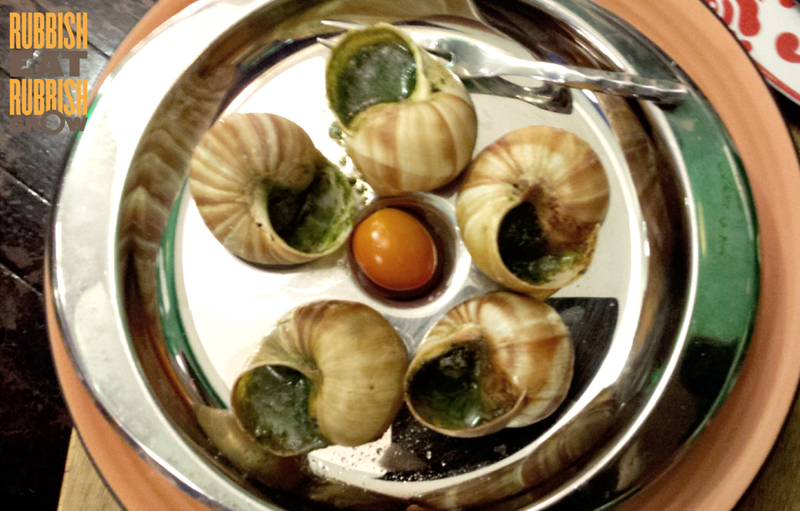 (-)long queue during dinner and weekends (-)forgetful service. Price $72 for 3 persons, about $24 for one. $48 for 2, or about $24 for one. Doong Ji Korean Restaurant, East Coast: Umami-ness! maybe that day they were busy.